If you don’t have double metal skewers, you can use bamboo skewers; just make sure to give them at least 20 minutes of soaking time beforehand. Smoked paprika lends a nice flavor, but you can substitute another variety of paprika if you don’t have it. 1. Using the broad side of a knife or a mortar and pestle, gently crush the fennel seeds. In a large bowl combine fennel seeds, smoked paprika, garlic, egg, green onions, and ground beef. Sprinkle with salt and pepper and mix with your hands until all the ingredients are well combined. 2. Divide meat mixture into 12 balls, then wrap each ball in a piece of bacon. 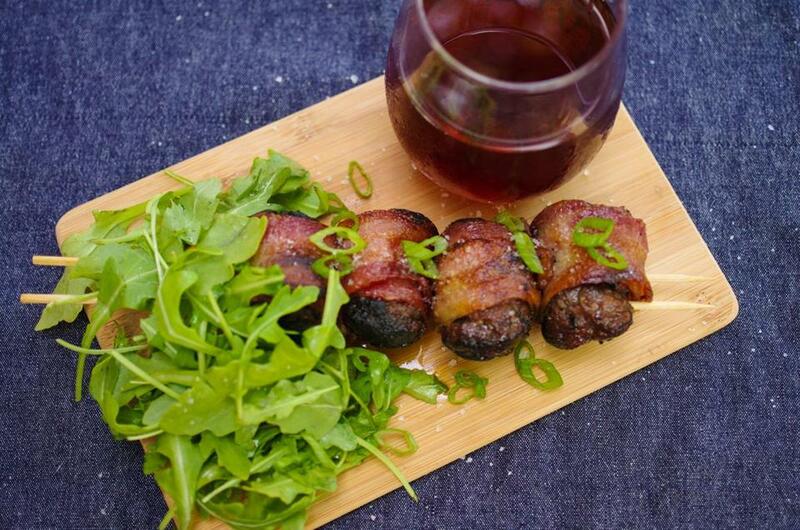 Using double metal skewers or two presoaked bamboo skewers, skewer the meatballs so the bacon is secured. Put meatballs on a plate and place in the fridge for 30 minutes, or up to overnight. Sydney Oland can be reached at sydney.oland@gmail.com.